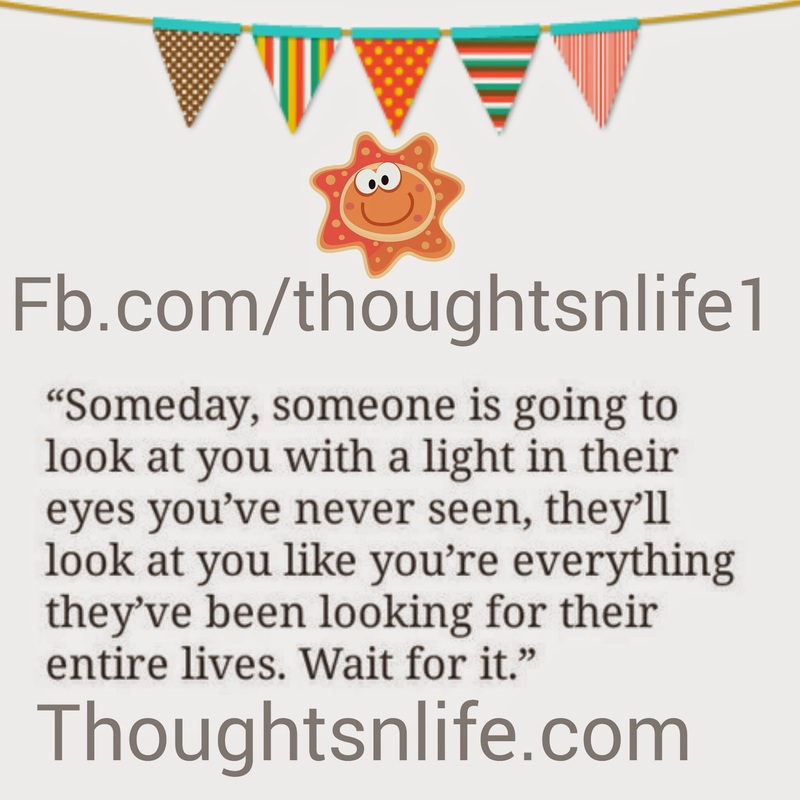 Someday, someone is going to look at you.
" Someday, someone is going to look at you with a light in their eyes you've never seen, they'll look at you like you're everything they've been looking for their entire lives. Wait for it."